There's a lot of talk about millennials, the generation that's expected to make a big splash in practically every industry, including real estate. For that reason, the media constantly writes about their every move. While real estate agents and brokers may obsess over ways to make millennials their next client, the San Francisco Chronicle took a different approach: It looked at surveys to identify the things that annoy millennials most. One of the top offenses: Calling them millennials. Millennials resist the term "millennials," according to a Pew Research Center study. Only 40 percent of adults ages 18 to 34 even consider themselves part of the "millennial" generation; and 33 percent of older millennials actually consider themselves part of Generation X, which preceded them. Also, don't try to convince millennials that they need to buy a house now or even for their future family. Millennials are irked by time pressures, including ones to start a family or get married. About 60 percent of millennials don't have children, according to a Gallup poll, and they're even starting to retaliate. Some millennial writers have penned articles like "Stop telling millennials they need to have kids" and "9 brutally real reasons why millennials refuse to have kids." Don't talk marriage with millennials, either. 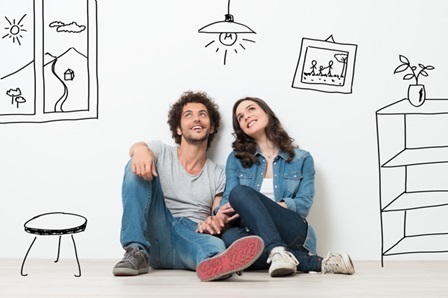 Millennials may not be trying to find a home as a couple. Only 26 percent of millennials are married compared with 36 percent of Generation Xers and 48 percent of baby boomers when they were their age, according to the Foundation for Economic Foundation. Millennials, not too surprisingly, are also increasingly turning to online venues to make purchasing decisions. Millennials don't like "being treated like a number combined with high-pressure sales tactics," marketing strategist Jason Dorsey said in an interview with Business Insider, citing the traditional car-buying experience as one example of this.